I’ve been working with many bride and grooms and wedding planners on upcoming weddings. My clients are from San Francisco as well as surrounding cities including Napa, Oakland, Sacramento, San Diego and Los Angeles, CA. I’ve also been getting calls nationwide for Wedding Invitations from New York, Seattle, WA, Hawaii and the United Kingdom. Here is an example of an Antique Wedding Invitation I just finished for our Bride & Groom! The above Antique style Wedding Invitation illustrates a popular wedding invitation style my clients chose for their upcoming wedding. The ink color is black lettering in Carolina Script on cream stock stationery with gold gilded edges. 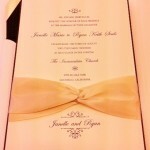 The price for the above wedding invitation for a a quantity of 50 invitations is $772. 24. For more Wedding Invitation Styles, Pricing and Ordering Instructions please see our Wedding Invitations Page and our Wedding Invitations Category on our Wedding Blog. I can customize your Envelopes with Elegant Calligraphy in as little as two days. Simply email me your guest list and mail or drop off your Envelopes to our Embarcadero Store in San Francisco, CA. Prices are $1 per Envelope for black ink and $1.25 for colored ink. 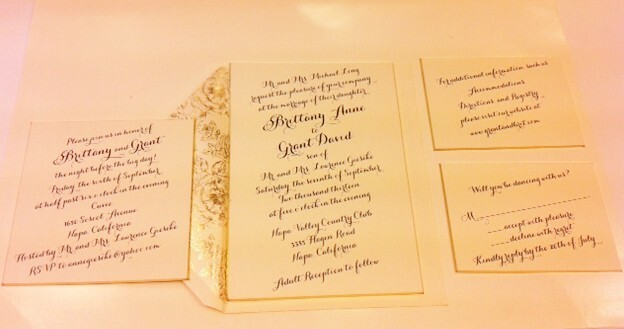 I can match your Envelope Calligraphy to your Invitation font style or to another font style of your choice. Please take a look at our Testimonials Page for Happy Customers. Don’t hesitate to email or call me with questions regarding your Envelope Addressing. In addition to Calligraphy we also provide a stuffing & Mailing Service which includes: Stuffing your envelopes with the invitation, Sealing the Envelopes, Stamping the Envelopes (stamps not included) and Delivering your Sealed Envelopes to the Mail House. 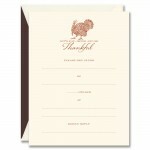 Prices for our Stuffing & Mailing Service is $.75 per Envelope Set. For more information on our Envelope Stuffing & Mailing Service, please go to our Calligraphy page. Congratulations on your Special Event, hope to be part of your event planning process. Jacques/Hyegraph.